Your weekends will be full of adventures - so be prepared to feel the adrenaline rush! Depending on your program location, you can decide what you wish to do during the weekends. 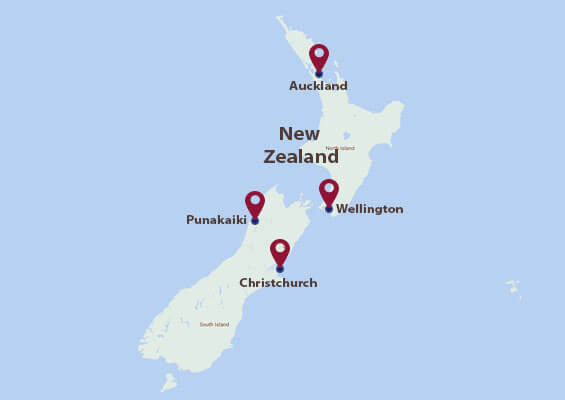 Some of the things that we'll absolutely recommend are - exploring the Fiordland National Park, Tongariro National Park, Waitomo Caves, Abel Tasman National Park, Lake Wanaka etc. Also, don't miss you spending some chilling time on the beaches. Matakana – It is a great getaway for locals and tourists and it is just 45-minutes away from downtown Auckland. It is lined with pretty beaches, river valleys, and beautiful vineyards. You will enjoy a scenic drive here but remember to make the most of this place’s local community! Waitakere Ranges – The Waitakere Ranges packs amazing landscape features into one location and is 40 minutes away, located on the west coast of Auckland. It hosts about 16,000 hectares of coastlines and rainforests and is popular for hiking and sunbathing. You can visit the waterfalls of Kitekite, Karekare, and Fairy Falls in the vicinity of the Waitakere Ranges. Great Barrier Island – Prepare yourself for a marvelous treat as you take a ferry to the Great Barrier Island. This island is ideal for fishing, diving, hiking, mountain biking, surfing, or just hanging out on the beach. Relish the long walking tracks, elegant beaches, and the overall breathtaking scenery. 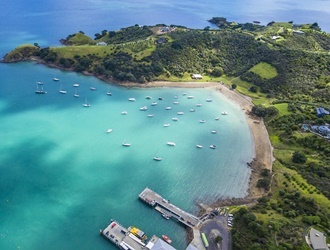 Waiheke Island – All you need is a ferry ride to start your journey and from there you can start exploring wineries, beaches, and tracks for bushwalking. Also, if you’re a little adventurous, then you can try a local zip-lining tour because that will definitely give you a unique and a highly memorable experience. Puhoi – A little further from Matakana is Puhoi. All history buffs are going to love this town’s Bohemian heritage. 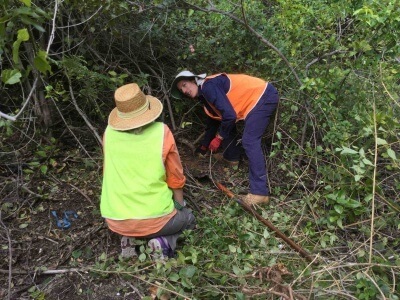 Hikers will enjoy 3000-km (1864-mile) Te Araroa Trail. They will enjoy kayaking and the countryside scenery paddling through the Puhoi River.